Big 1BR/1BA w/i 5 miles of Grove-Comfy and Affordable! Spacious one bedroom one bath apartment. Ceiling Fans. Bed is Queen bed. It is very comfortable. 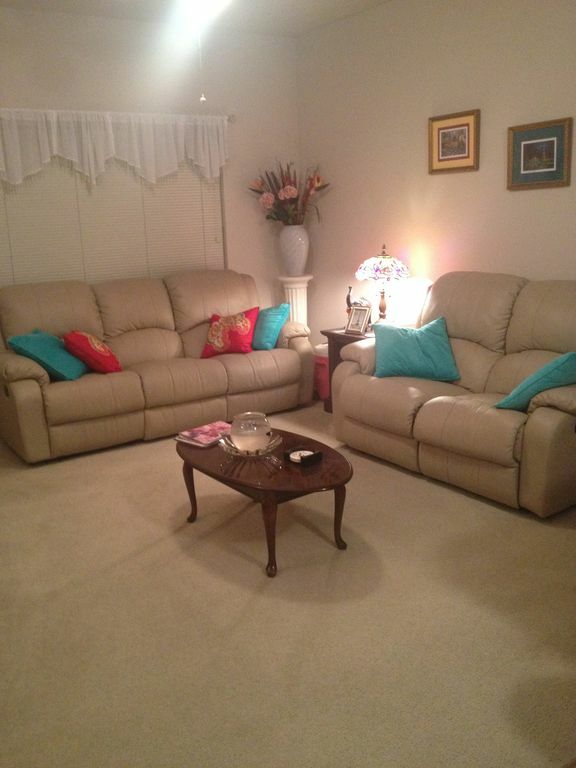 A couch and a loveseat are in the living room, and they both have reclining chairs on the ends. They are also great for sleeping. There are extra sheets and blankets for them that can be used. There is also floor room in the living room and/or kitchen for 2 Queen/full/twin air mattresses. The kitchen has a refrigerator (plenty of room for beer/food) and freezer, which has an ice maker. Kitchen has a toaster (with a bagel function), Keurig, and a George Forman Grill that can all be used. Washer &amp; Dryer. The apartment is located in the Links Apartment Complex, and it faces the golf course. It is located off of Highway 6, and it is a five minute drive to campus. Taxi service is also available and is usually very fast if you call ahead. They will drop at Grove. Plenty of parking for visitors.